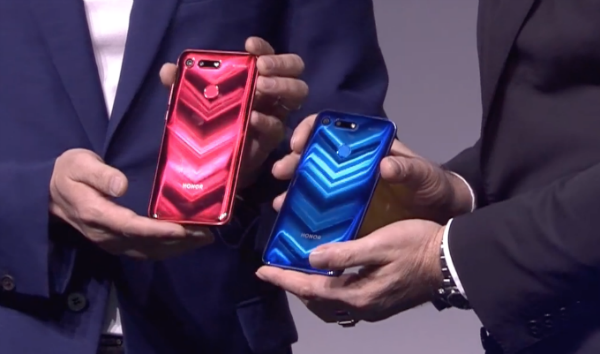 The Honor View 20 has been launched in Paris, and it’s a flagship smartphone packed with world firsts. Let’s take a look at all the news from the event. Yesterday in Paris, Honor unveiled the View 20 - its spectacular new flagship phone. What’s so special about it? Well, it’s absolutely jam-packed with the very latest technology – in fact, we can’t remember a launch event where so many ‘world firsts’ were announced. We’re talking about a punch-hole display, massive 48MP camera, and a lightning-fast Kirin 980 chipset powered by AI. This is all stuff that’s never been seen on a smartphone before, and we can’t wait to get our hands on the View 20 to try out this new tech. But in the meantime, sit comfortably and we’ll take you through everything that was revealed during the launch. We’ll start with the camera first, because it was the real highlight of the event for us. The 48MP main camera is the biggest that’s ever been on a smartphone before, and it sounds out of this world. Of course, there’s a lot more to a camera than just the number of megapixels – regular Lowdown readers will have heard us say that before – so you’ll be pleased to hear the View 20’s camera has lots more to back it up. In particular, a state-of-the-art Sony IM586 sensor. In bright light, the sensor uses all the pixels for incredibly detailed shots. In low light, it merges the pixels for brighter, clearer shots. On top of that, it’s capable of producing a really sharp digital zoom on photos and videos alike. The camera actually takes several pictures at once, and combines the best details from each to produce a single 48MP photo. Then the View 20’s Kirin 980 AI-processor kicks in to improve the quality – dark areas are given more detail, and colours are made more vivid. And it all happens automatically, with a single press of the camera shutter. Impressive stuff. Another thing that really sets the View 20 apart from other phones is the mesmerising V-shaped design on the glass and metal back. Yes, that’s right – ‘mesmerising’. There’s really no other word for the way it shimmers when it catches the light, to reveal a chevron design. If you like a bit of retro style, you’re going to love it. The View 20 is nearly all-screen on the front, with virtually no bezels. And there’s no unsightly notch getting in the way of the display. Instead, there’s a ‘punch-hole’ - basically, just a small hole in the screen for the camera. 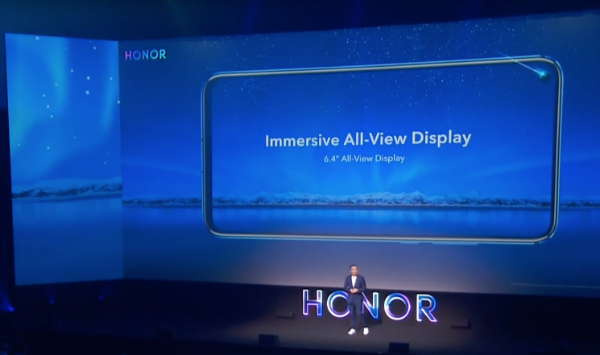 Honor says this gives you a completely uninterrupted view of the super-wide 6.4-inch All View display. It’s going to be a real hit with mobile gamers and movie fans, we reckon. The View 20 is powered by the latest Kirin 980 chipset, and it sounds like an impressive piece of kit. And yes, it’s another world first, in case you were wondering. It makes everything you do on the View 20 super smooth and responsive, and it uses AI to great effect. Honor says that the camera processing is up to 46% faster, and AI recognition is 120% faster – so you’ll be able to snap all those ‘blink and you’ll miss them’ moments. 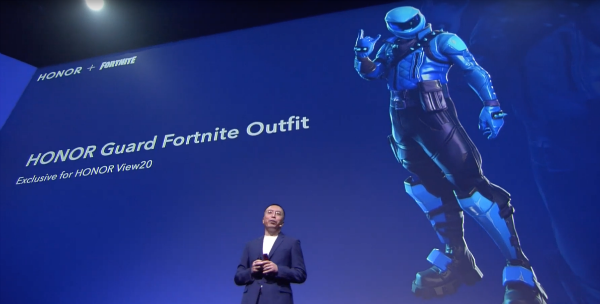 And finally, some big news for Fortnite fans. The View 20 comes with an exclusive ‘Honor Guard’ Fortnite skin. What more could you want? The View 20 sounds like it’s really pushing the boundaries of what a smartphone is capable of. If you like getting in there first with mobile tech, it could be the one for you. You can order the Honor View 20 6GB handset with 128GB internal storage from Carphone Warehouse. If you want a bit more power and storage, you can order the Honor View 20 8GB handset with 256GB internal storage from Carphone Warehouse. If you’ve got a question about the View 20, post it below and we’ll do our best to answer it.